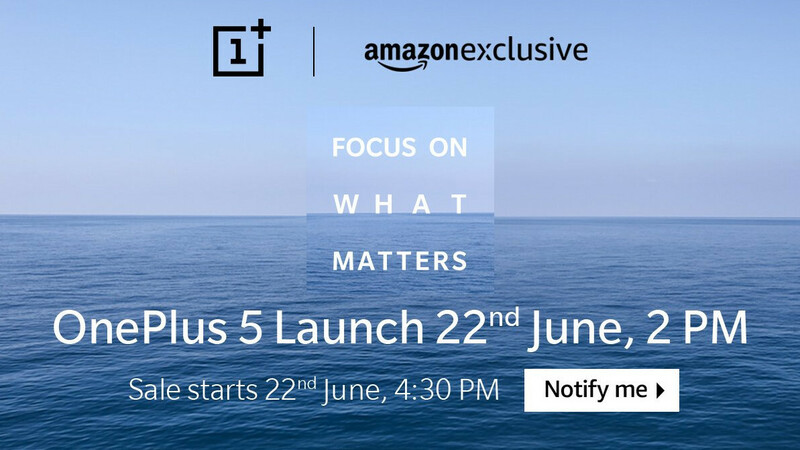 UPDATE: Amazon India just announced that it will start selling the OnePlus 5 on June 22nd, which makes it the second major market to confirm this particular date. Apparently, there will be a OnePlus 5 variant with 8GB of RAM for the South Asian country, as per reliable tipster Evan Blass' findings. At the time of writing, it is unknown whether this will be the default global variant of the phone. OnePlus officially declared that it will announce its next flagship, the OnePlus 5, on June 20th, but the company didn't really disclose any details on a potential release date for the handset. However, a post that surfaced on Chinese social media Weibo barely a few hours ago might have just given us an idea of when to expect the 5 to hit the shelves. This press invite was attached to the post in question. Before we begin our little multilingual investigation, it's important to note that the Chinese manufacturer will unveil the phone globally at 12 PM ET (4PM GMT) on June 20, and then carry out various "pop-up" events across multiple countries that will occur over several days. With that out of the way, let's take a look at the dates and times present at the bottom half of this press invite. 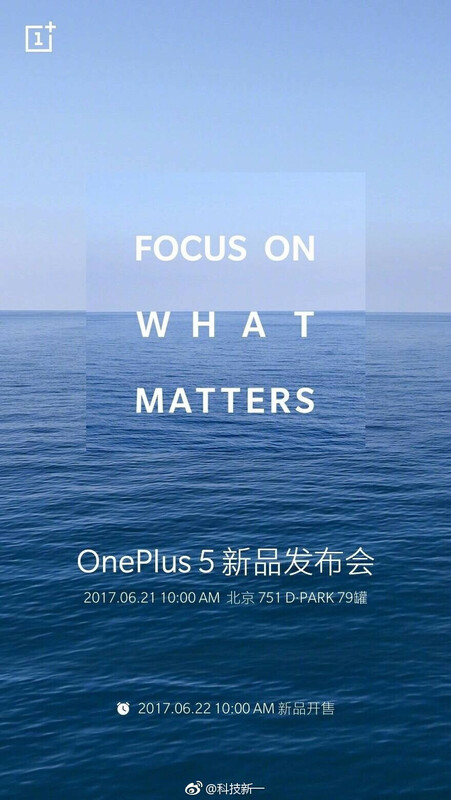 The sentence right under the "OnePlus 5" in the middle gives the exact coordinates of the pop-up event in China - June 21st, 10 AM, Beijing, 751 D-Park 79. That's cool and all, but what might interest you the most is the sentence located at the very bottom of the image. Basically, it reads that the OnePlus 5 will become available for purchase on June 22nd, merely a day after its announcement. While it goes without saying that this might be exclusive to the East Asian country, we suspect that a global release won't be too far behind. After all, the Chinese manufacturer pulled a similar stunt when OnePlus 3 broke cover last year - the handset was announced and released on the same day, although soaring demand meant that some had to wait a while before receiving their order. Even if this is not the case, the OnePlus 5 will likely be available for purchase if you can actually attend one of these pop-up events. You can see the exact dates and times for each country and city in the official OnePlus website (linked below). Haha we feel you bro. Idk but i got a very bad feeling that op is trying to get into the mainstream flagship range with each successive product. Lets hope im wrong. I got 6 hours SOT and sometimes a bit over that on my OnePlus 3, so.... Iol. I can't say this is accurate. Damn , thats crazy. For me on my op3 , dual sim active. Dont get more than 3 . Now its kind of become 2 hrs Sot rather after 8 months of use. I get 4-5 hours SoT on my OnePlus 3, nothing wrong with the battery life. If you're getting 3 hours then something is wrong with your phone or it's user error. Probably more like 5 hours. At least there's not a stupid wait of 4+ weeks. Need a 6in version . My S8 plus will do for now. Different aspect ratios, there not comparable. it's basically a 5.5" display stretched, it's unnecessary and a bit misleading, if you're watching 16:9 content it's going to look exactly the same unless you zoom in on the Galaxy S8 Plus. Most games will probably support the new aspect ratio but I'm not sure what the point is on such small displays.